Buffalo Mayor Byron W. Brown, '83, will be inducted into the Buffalo State Communication Department Hall of Fame on Friday, November 20, at 5:00 p.m. in the Savage Theater and Communication Building's television studio. The event will be held in conjunction with the department's national student honor society induction and scholarship awards ceremonies.  At Buffalo State, Brown double-majored in public communication and political science. He was first elected to represent the Masten District on the Buffalo City Council in 1995, later served in the New York State Senate, and was elected Buffalo’s 58th mayor in the 2005 general election. He was reelected to a third four-year term in November 2013. 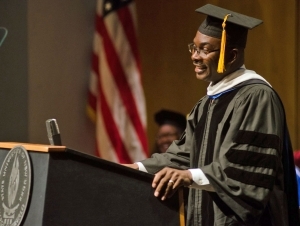 Mayor Brown joins 18 other graduates who comprise the department’s Hall of Fame. Noah Neacsu, a communication studies major from New York City, will receive one of the department’s two annual Buffalo News Scholarships—$1,000 awards given annually to first-year communication students. Emily Niman, a public communication major from Chenango Forks, New York, will receive the other. The department’s Dr. Julia Piquette Communication Award, a $1,000 scholarship endowed by the late former chair and professor Julia Piquette, will be awarded to Labria Burgess, a public communication major from Rochester. Twenty students will be inducted into the Communication Department’s Rho Psi Chapter of the national communication honor society, Lambda Pi Eta. Honor society students carry an overall GPA of 3.0 with at least 60 credits completed; must have a major GPA of 3.25 and must have completed at least 12 credits in their major; and represent the top 10 percent of the department’s students.